The Bachchans may have opted for Mukesh and Nita Ambani's party over the weekend but Adnan Sami's grand party at his residence in Lokhandwala, in suburban Mumbai, on August 18, saw quite a few celebrity guests as well. 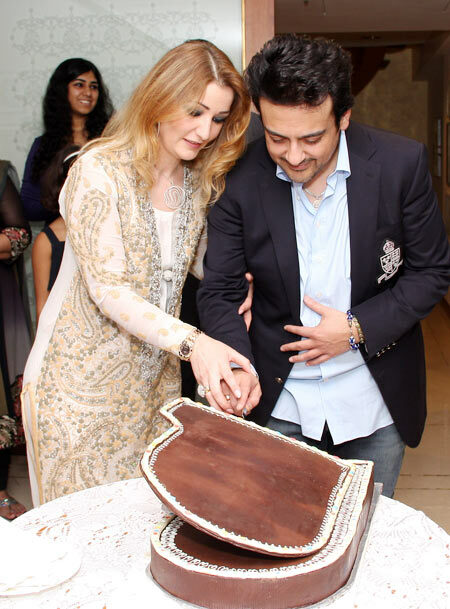 Adnan cut a piano-shaped cake, as he celebrated his birthday on August 15, as well as completing 25 years in the music industry. 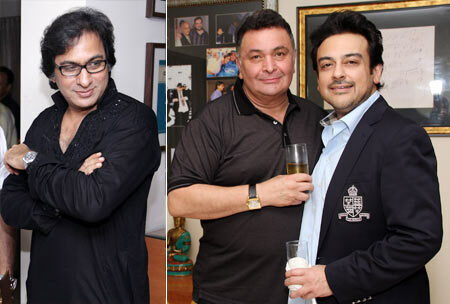 Some of the guests like Rishi Kapoor, Subhash Ghai and Rakesh Roshan divided their time between the Ambanis and the Samis. "It was a fun evening. 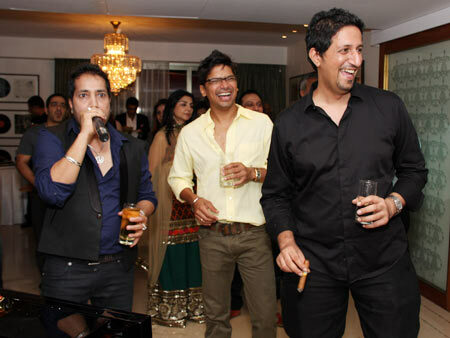 But more than fun, it was a musical evening," said a guest at Adnan's party. 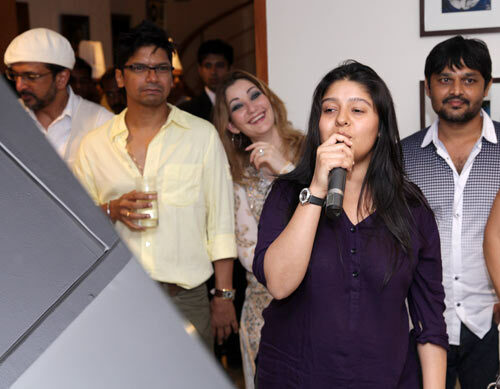 "The musical brigade -- Mika, Shaan, Sunidhi Chauhan and her husband Hitesh, Salim-Suleiman, Anees Bazmee, Sajid-Wajid, Raghav Sachar and G V Prakash (of Aa Ante Amblapuram) turned the formal sit-in dinner into a jackets-off musical evening." Says a guest, "Mika initiated the idea of an antakshari based on the songs of all the filmmakers, actors and musicians present at the party. 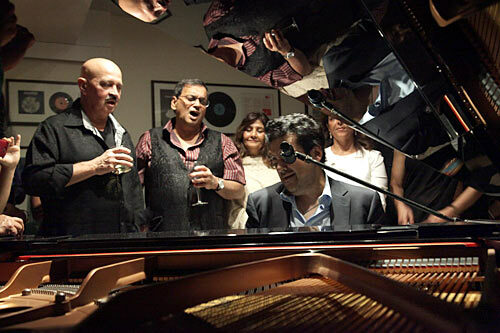 It started as a spontaneous outburst of singing but quickly became homage to the music of Rishi Kapoor, Subhash Ghai, Rakesh Roshan, Anees Bazmee and Adnan Sami." "It was an amazing evening," says Adnan. "I expected it to be enjoyable but not so musical. We sang all night." "I had eyes for one lady only, and that's my wife Roya," Adnan said. "No diversions, please." The party -- and the music -- went on until 5 in the morning!